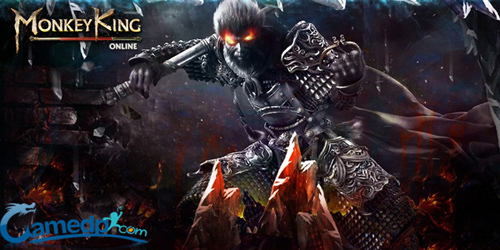 Ray Media Group Limited has proud to announced that the 1st server of Monkey King Online is to be launched at MYT 10:00 AM Oct 16th, 2014. The first server is very likely to offer players high production value and hours upon hours of fast-paced ARPG combat. Monkey King Online was produced in parallel with 2014’s popular movie “The Monkey King” starring Donnie Yen and Chow Yun Fat. This game is based on the great Chinese Novel journey to the West. It is widely known in English-speaking countries as Monkey. In this free browser based role playing game (MMORPG) you will choose to be one of four ancient heroes, the most hit being the Monkey King; try to bring peace to the broken world. This high end production is full of beautiful landscapes. The teasing trailer shows us lots of mysterious HD Ancient Chinese Architectures and the players will enjoy game with the classical music. Like many other game publishers, Ray Media Group Limited has also prepared in-game events to celebrate the first server launch. Today, InnoGames' classic strategic MMO Tribal Wars started its popular event: Rescue the Royalty. Probably the biggest and most surprising part of this year’s NYCC was the presence of VR technology.